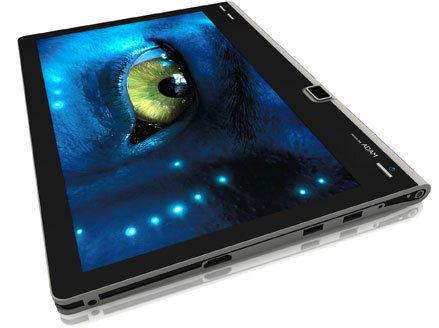 Last time we saw the Android based ADAM tablet PC at the Consumer Electronics Show in December. Notion Ink has created a sensation before the product release and complete details of their upcoming product have been revealed out at the Mobile World Congress, and the ADAM impresses everyone against the much hyped Apple iPad. ADAM is surely the buzzword of the current market not just because of its exciting look, but for the features it offers to the end users. 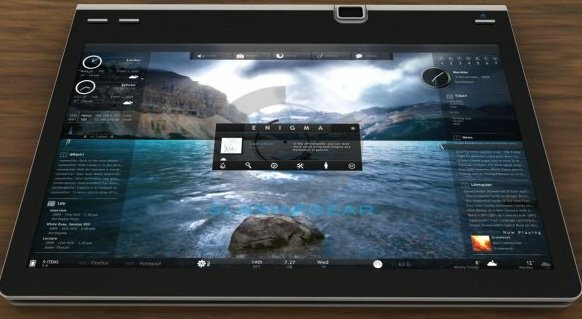 The sleek designed tablet PC, ADAM weighs just 600 gms with a height of 158mm and width of 239mm is going to be the first tablet PC to power Nvidia Tegra 2 system-on-chip which has the ability to run at 1GHz clock speed. Additionally ADAM features a 10.1 inch transreflective Pixel Qi TFT LCD(1024X600 WSVGA resolution) display coupled with multi-touch Capacitive touchscreen panel with 1028p full HD video playback support, a dual core ARM Cortex A9 CPU, a Chrome ULP GPU, a 3.2MP camera, 16/32 GB eMMC disk space along with microSD card support, a SIM card slot, 802.11 b/g WiFi, bluetooth, A-GPS, HDMI, USB ports 2-speakers, 3.5mm headphone jack and a built-in microphone jack along with a microphone jack. The device is coupled with a 3-cell battery with a backup power upto 140-hours of audio playback and over 16-hours of HD video playback. The company also confirms that ADAM will support Chromium and Ubuntu OS along with the current Android OS in the near future and they are in a plan to include GSM functionality in their future versions. There is no word on pricing and when the device would launch into the market. Let’s wait for some more time and keep your nerves under control, what miracle the ADAM does and how far it impresses the end users amid the successful competitive products around it. According to the rumors, the device is expected to reach on to your palms by June/July. This entry was posted on February 16, 2010 at 6:08 PM	and is filed under Tablet PCs. Tagged: ADAM, ADAM Tablet, ADAM Tablet PC, Android, Android Tablet, Mobile World Congress, MWC, MWC 2010, Notion Ink, Notion Ink ADAM, NVIDIA, Tegra, Tegra 2. You can follow any responses to this entry through the RSS 2.0 feed. You can leave a response, or trackback from your own site. WOW! A wonderful post buddy! I am really thankful to you for this post. I just loved your blog and specially this post. You must keep this fantastic effort going on.